Heartbreak is a big deal. Coping with it can be everything from sorrow to humor, depending on the person suffering. 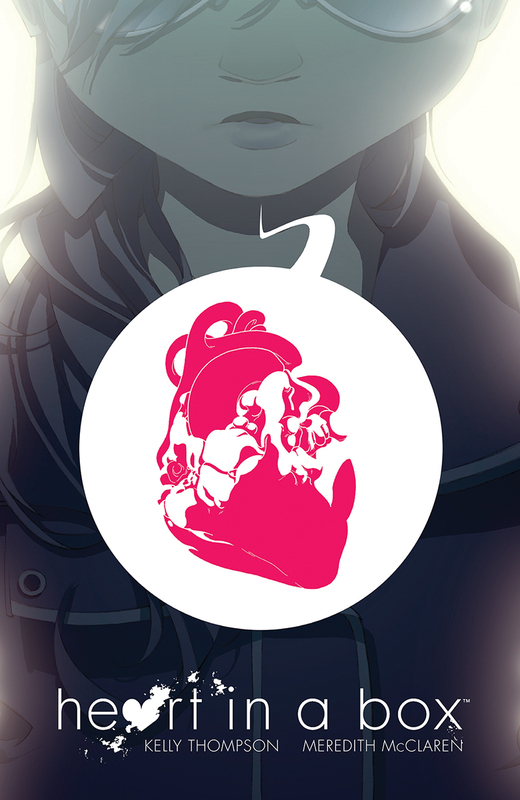 Rarely does dealing with it demand someone to wish their heart away, but that's the case in Heart in a Box from Dark Horse Comics. The book pairs Kelly Thompson up with Meredith McClaren. A fresh, funny, and action-packed take on heartbreak, Heart in a Box is Thompson and McClaren’s first graphic novel collaboration and comes hot on the heels of Thompson’s critically acclaimed novels, The Girl Who Would Be King and Storykiller. In a moment of post-heartbreak weakness, Emma wishes her heart away, and a mysterious stranger obliges. But emptiness is even worse than grief, and Emma sets out to collect the seven pieces of her heart in a journey that forces her to face her own history and the cost of recapturing it. Retailing for $14.99, Heart in a Box is currently available to preorder through Amazon.com, Barnes & Noble and IndieBound, as well as local comics retailers. FOR IMMEDIATE RELEASE: MILWAUKIE, OR—Kelly Thompson (Jem and the Holograms, Storykiller) and Meredith McClaren (Hinges) are putting the pieces back together for Heart in a Box, a new original graphic novel from Dark Horse Comics. In a moment of post-heartbreak weakness, Emma wishes her heart away, and a mysterious stranger obliges. But emptiness is even worse than grief, and Emma sets out to collect the seven pieces of her heart in a journey that forces her to face her own history and the cost of recapturing it! A fresh, funny, and action-packed take on heartbreak, Heart in a Box is Thompson and McClaren’s first graphic novel collaboration and comes hot on the heels of Thompson’s critically acclaimed novels, The Girl Who Would Be King and Storykiller. Retailing for $14.99, Heart in a Box is currently available to preorder through Amazon.com, Barnes & Noble, and IndieBound, as well as local comics retailers.